Network, built and operated by LLC “Zummer”, has a length of over 13800 km bandwidth of over 1.6 Tbit/s. The company participates in many special Federal programs and projects, such as “Electronic Russia 2002-2010”, “Electronic Government”, “Eliminate digital inequality”. LLC “Zummer” included in the Russian Business Anti-Corruption Charter Registry since 7 November 2014. The company is the only main provider beyond the Arctic circle in the Tyumen region. 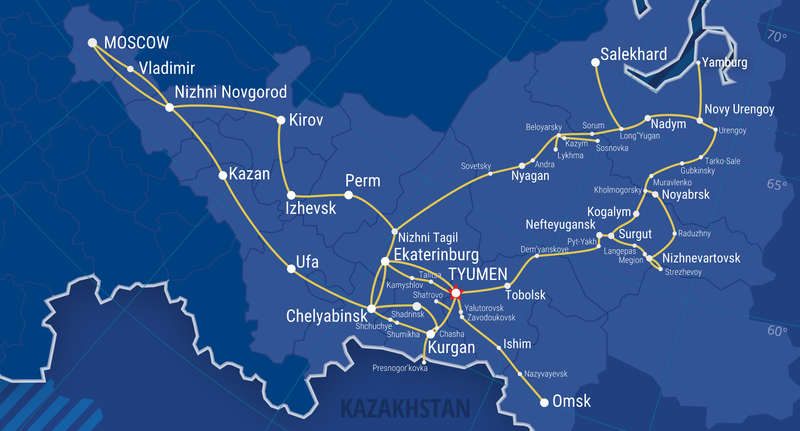 Fiber-optic communication lines were carried out only in October 2013 due to difficult climatic conditions, geographical remoteness and undeveloped infrastructure. Instead of the flag, the Internet pioneers installed an Internet camera behind the Arctic circle in Yamburg. Look at the Yamburg online. Go to the website data center.